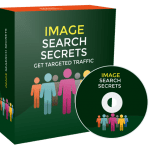 In This PLR Report You’ll Get How to Stay Motivated to Exercise When It’s Cold Outside Report With Private Label Rights To Help You Dominate the the Stay Motivated Market Which Is A Highly Profitable And In-demand Niche. 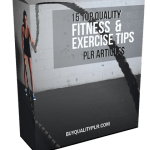 The How to Stay Motivated to Exercise When It’s Cold Outside PLR Report contents is available in Text file format and can be downloaded instantly after purchase. 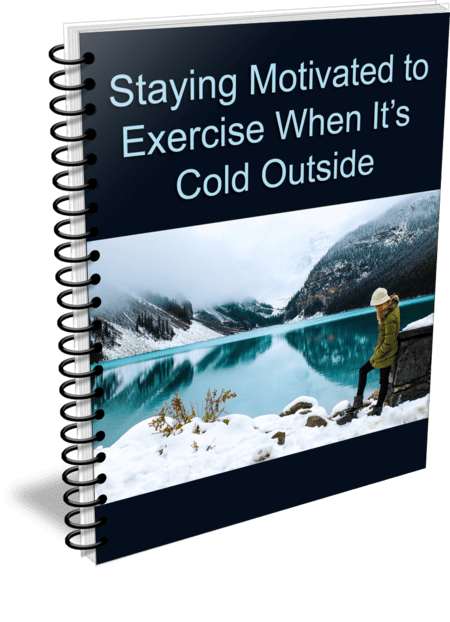 What Can You Do How to Stay Motivated to Exercise When It’s Cold Outside PLR? Why is it so hard to motivate yourself to exercise? How do you find the right exercise for you? Do you know the importance of setting goals? Can the foods you eat help motivate you to exercise when it’s cold outside? Are there foods that can hinder your motivation? Tips to help you stay focused. What are some things you can do if you fall off the fitness wagon? As the temperatures begin to fall, many people want to curl up on the couch to watch television or read a book. They don’t want to think about having to exercise, especially if that means having to go out into the cold. There are many ways to stay motivated to exercise when it’s cold outside. Keep reading to find the motivation you need. If you enjoy walking, running, or bicycling as exercise, but don’t want to get outdoors when it’s 20 degrees, it’s understandable. You can find the motivation to exercise during the winter months even if you don’t want to go outside to do it. There are so many options from which to choose. Perhaps you have set goals that are too big, or you chose the wrong type of exercise. Do you feel that you “must” exercise? These things may keep you from choosing to exercise during the winter months. What type of exercise goals have you set for yourself? If you’re just starting to incorporate exercise into your daily life, start with small goals. Setting goals that are too lofty,in the short-term, will cause you to become frustrated and more likely to quit because it will be difficult to reach your goals. Starting with smaller goals will help you to achieve some success. Then increase your goals again to a larger goal than your previous one, but one that is still attainable. If your ultimate goal is to run a 26-mile marathon, it’s unreasonable to think you’d be able to achieve that goal on the first day. It will take many, many weeks, possibly months, to work up to that goal.Instead of trying to run 26 miles on your first outing, plan to do something more reasonable. If you’ve never run before, it’s important to begin running on a daily basis or at least on every other day basis. Before long, you’ll be running further and further each day. Weight lifting is a great exercise but lifting 100 pounds as a short-term goal is unreasonable and could be dangerous. If you’ve never lifted weights before and try to lift 100 pounds on your first day, you could easily injure yourself. Start with smaller goals –50% less than what you believe you can lift – and do a few repetitions with that amount. Be sure your form is correct, and you’ll be less likely to have an injury. After you’ve warmed up your muscles use the next higher weight. It may take you a couple of weeks to reach your goal of lifting 100 pounds but working up to it will reduce the chance of injury. Is your chosen form of exercise something you can easily do during the winter months? Suppose you love rowing a boat during the warmer months of the year. Is it reasonable to continue rowing if the lake is frozen? If you started taking water skiing lessons during the summer, certainly you won’t want to continue getting out onto the water in a swimsuit when it’s cold outside. Think of some activities you can do in the winter that you’ve always wanted to learn or become better at doing. Perhaps you ice skated as a child. Even if you haven’t laced up a pair of skates in years, now would be the perfect time to begin skating again. Have you ever wanted to learn to ski? If there’s snow in your area – whether you’re skiing cross country or downhill – take advantage of it. You may discover that you’ve found a new favorite winter activity! Finally, change your mindset. Instead of telling yourself that you “have” to exercise during the colder months, convince yourself that you “get” to. You’re healthy and able to move. Take advantage of the fact that you “can” do these activities. Many people would love to be able to take a walk outside or glide across an ice skating rink. The most important way to stay motivated to exercise in the winter months is to find an activity that you enjoy and that you set reasonable goals for yourself. After you have your mind made up to keep moving when it’s colder outdoors, have set reasonable goals that are easy to reach, and have chosen the activity that will keep you moving and warm, you may find that motivation isn’t as difficult to find as you thought. Most people who struggle with remaining active during the colder months may not realize that motivation to continue comes from within. Why do you want to exercise? If you know why – and those reasons are strong enough – maintaining motivation may come easier. Do you want to lose weight? Most doctors, weight loss experts, and those who have successfully lost and kept weight off will tell you that you need to be active to lose weight. Why do you want to lose weight? Knowing why you want to lose weight can be a source of inspiration to keep exercising on its own. Your doctor has told you that you’re carrying too much weight. The extra weight, if left, could cause some health issues you’d rather not deal with. Diabetes, heart disease, and other illnesses are exacerbated by carrying extra weight. Increasing your activity level can help you shed the pounds and help you firm up. 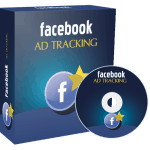 It can also help you avoid some of the health issues that so often plague people who are overweight or not active. Most women do not realize that their weight can be the cause of fertility issues. In fact, thirty percent of all fertility problems are related to the woman’s weight – whether the woman is overweight or underweight. Losing even 5 percent of their bodyweight can enhance their fertility and chance of conceiving. It’s also important to realize that not being activity can also affect fertility, not only for the woman, but for the man as well. Women can, according to research done recently, decrease their ovulatory infertility by 5% by exercising vigorously for each hour per week that they exercise vigorously. Men also benefit from being physically active. 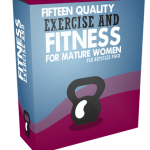 The British Journal of Sports Medicine reported that men who do 15 or more hours of moderate exercise each week will have higher sperm counts. So, if you’re trying to have children but have been unsuccessful at getting pregnant, lack of physical exercise could partially be the issue. Of course, you’ll want to discuss this with your own doctor to confirm their suggestions. Your high school reunion is four months away. Over the years, you have added a few pounds. Your best friend is getting married in the spring and she has asked you to be her bridesmaid. If you want to lose weight for a specific event, it can be motivation. Regularly being active, regardless of the activity, can help you shed the pounds. It can also improve your mood because of the endorphins that exercise releases. There are many reasons why people want to lose weight including a specific event they want to attend and look their best, improving their overall health, combatting a particular health issue, or because they want to have children. No matter what your reason is, know WHY you want to lose weight, and become or continue to be more physically active, will help you achieve the motivation you need to keep exercising even when the cold winds blow. 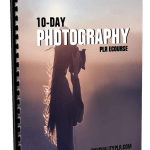 How to Purchase This How to Stay Motivated to Exercise When It’s Cold Outside PLR Report? 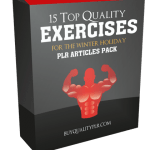 We will only be selling 50 copies on this How to Stay Motivated to Exercise When It’s Cold Outside PLR report, so don’t waste any time and grab your PLR license while it’s still available for sale.